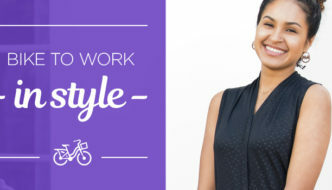 CYCLING COMFORT TIPS FOR WOMEN. - Terry Peloton. 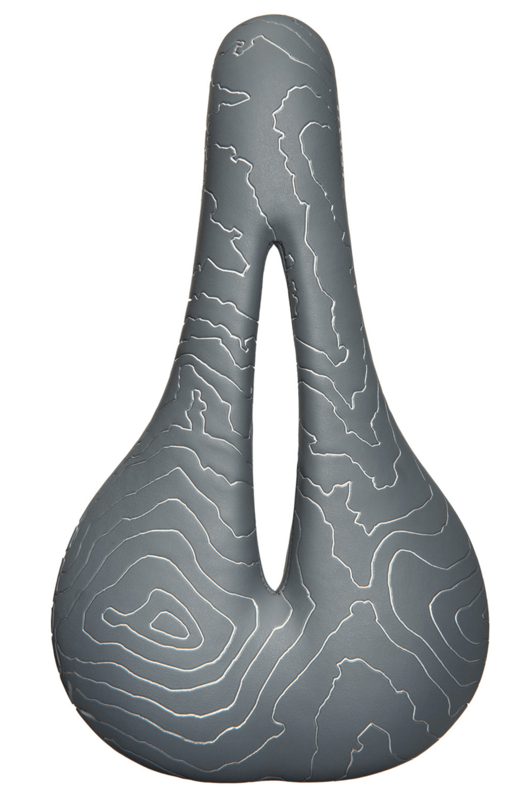 You are here: Home / Sidesaddle Blog / CYCLING COMFORT TIPS FOR WOMEN. 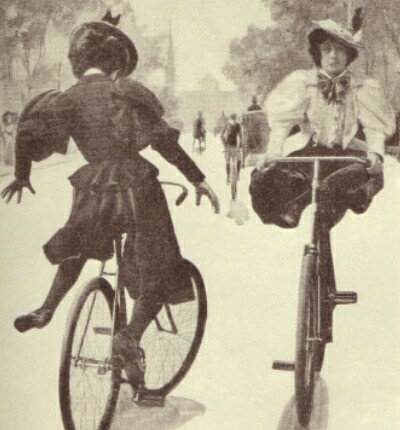 A little history, and some helpful cycling comfort tips for women. No wonder we couldn’t get comfy for so long! Now at last we have equipment, clothing and know-how to help cycling women achieve the comfort we deserve. 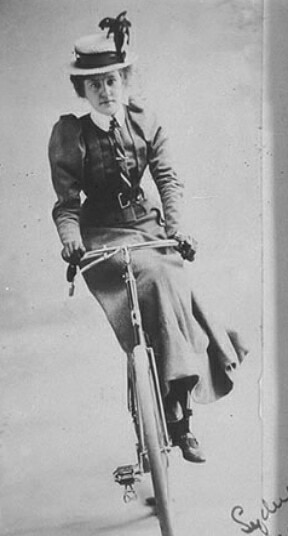 Women on Bikes: The early years. • A threat to health, morals, and reputation. • Women were encouraged to ride sidesaddle. • Bloomers – and freedom – to the rescue. • The death of the corset, and the birth of the “loose” woman. • Wider hips – our sit bones are approximately 1/2-3/4” wider than a man’s so our saddles better be, too. • Soft tissue areas are very vulnerable to pressure against the rigid nose of a saddle so we need relief up there. • Our upper body muscles are generally smaller and placed differently causing us to sustain a higher degree of force in neck & shoulders when leaning forward. • Our quads are significantly stronger than our hamstrings, putting ligaments at higher risk of injury (exacerbated by cycling). We’re 4-5x more likely to tear our ACLs than the guys are – bummer! • You might be too stretched out. Your bike position could use some altering. • Buy a shorter stem or try rotating the handlebar slightly back toward you so you can ride more upright. • Rarely a problem for women, but if so, scoot your saddle back slightly. If you’re maxed out, try a setback seatpost. • If it’s in the front of your knee, it might mean your saddle is too low; if in the rear, your saddle is too high. Make TINY adjustments and go for a ride. 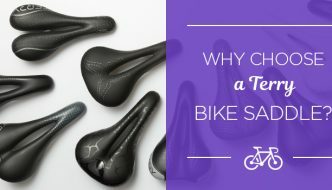 Saddle pain, sores or discomfort? You’re not alone – this is the #1 complaint among women. 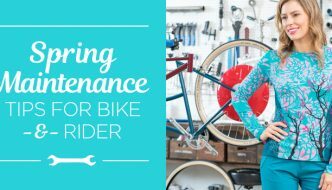 • Swap out the saddle that came with your bike and get the right saddle for you. Needs to support your sit bones and relieve pressure up front. • The myth of softness is that softer = more comfortable. The reality Is that after an hour on a pillow, you’ll be ready to ditch the bike. • Cut outs, gel and narrow noses. These are extremely effective solutions to saddle comfort. • Positioning: height, fore/aft, tilt. These adjustments (one at a time only) can make a huge difference. • Invest in good fitting bike shorts with a ventilating, non chafing chamois. • Eliminate bagging, bunching, extra fabric in the crotch area. • Hydrate with water and electrolyte replenishment to avoid cramps. • Immediately get out of your shorts after the ride. • Treat yourself to the occasional massage – and embrace yoga to build flexibility and reduce injuries. 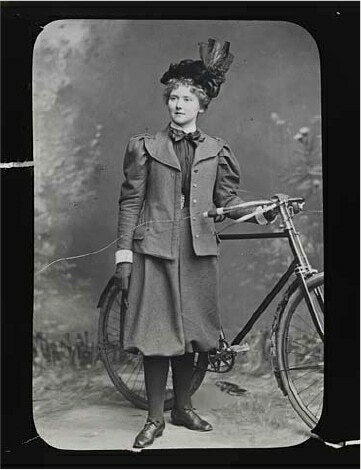 Love the photos of women cyclists from the early days.